The BPF Legal Forum underpins all the key BPF programmes and was set up to address the under-representation of British Pakistani lawyers at all levels of the legal profession and the judiciary. The aim of the BPF Legal Forum is to provide a platform for nurturing, inspiring and networking for those who wish to become lawyers and judges in England and Wales. The entry, retention and progression of British Pakistanis within the legal profession are a matter of real concern. It may be that there is a lack of support networks that are available within the community or that they do not have reach. Those who qualify often leave the profession, which then has a “knock-on” effect on the diversity of the judiciary, as there is not the talent pool to select from. The net result is that neither the profession, nor the judiciary reflects the diversity of the population. 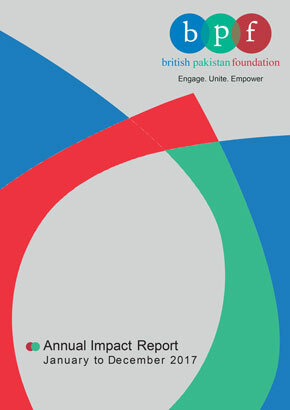 The BPF legal Forum was launched in May 2017, in partnership with Mishcon de Reya LLP, at the BPF Focus on Law event (for details click here: https://www.britishpakistanfoundation.com/events/bpf-focus-law-panel-discussion/) and following the launch, we have been hosting professional development, mentoring and networking events to assist with recruitment, retention and progression within the legal profession (for details click here: https://www.britishpakistanfoundation.com/events/bpf-legal-forum-speaker-series-professional-networking-event-scene-dining/) and the judiciary (for details click here: https://www.britishpakistanfoundation.com/events/bpf-legal-forum-judicial-appointments-discussion-professional-networking-event/).